VW Golf GTI Performance With 242 Horsepower Arrives In U.K. The 1.5-liter TSI Evo is now available as well. Volkswagen introduced the mildly facelifted Golf range back in November 2016, but it’s only now the spicy GTI version is available in United Kingdom. Aside from the modest styling tweaks and upgraded technology shared with the lesser members of the family, the hot hatch in the more expensive Performance version has gained some extra VW muscle as the 2.0-liter TSI engine now develops 242 hp (180 kilowatts) and 370 Nm (273 pound-feet). Compared to the pre-facelift version, power is up by 15 hp and 20 Nm (15 lb-ft). 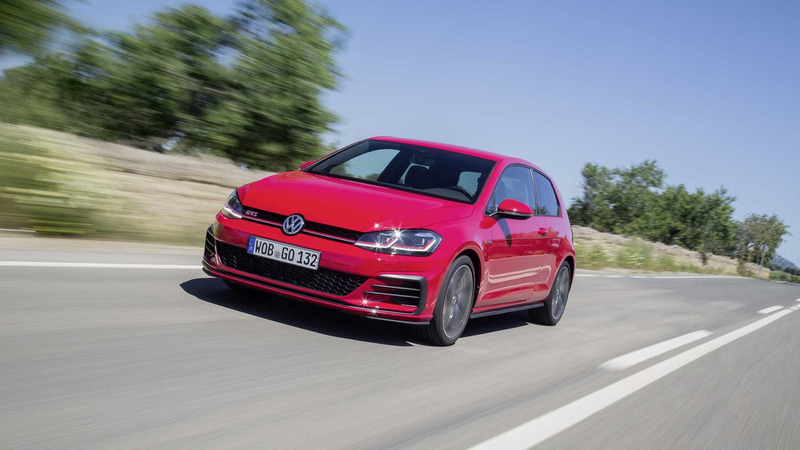 Regardless if you go for the standard six-speed manual or the optional new seven-speed DSG automatic transmission, the Golf GTI Performance will need a swift 6.2 seconds to complete the 0-62 mph (0-100 kph) run. Go all out and the manual will reach 155 mph (250 kph) whereas its dual-clutch counterpart is going to be a tad slower as it will top out at 154 mph (248 kph). Bear in mind the upgraded version is not actually the most powerful Golf GTI ever made as VW also had the limited-run Clubsport S based on the pre-facelift model with 306 hp and 380 Nm (280 lb-ft). That was enough punch to cover the sprint in 5.8 seconds and max out at 165 mph (265 kph). It was actually the fastest front-wheel-drive production car around the Nürburgring for several months, before being dethroned by the Honda Civic Type R.
We should point out the U.S. version of the Golf GTI now comes exclusively with 220 hp, regardless if you go for the regular model or the Performance variant. That means it's down on power compared to its European counterpart, but at least it has an extra 10 hp over the old standard model. Available on order in U.K. starting this week, the Golf GTI Performance kicks off from £29,280. In related news, the group’s new 1.5-liter TSI Evo engine featuring cylinder deactivation technology can also be ordered in the 150 hp flavor and with a choice of either a six-speed manual or a seven-speed DSG. The thriftier 130-hp BlueMotion version featuring an engine-off coasting function will arrive later in the summer. Milton Keynes – Volkswagen’s updated Golf features one of the most comprehensive engine line-ups of any model in the UK. 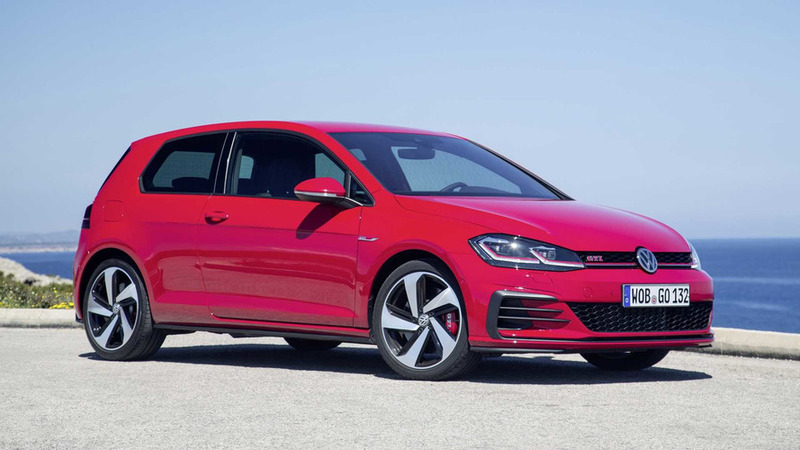 Now the potent 245 PS Golf GTI Performance and keenly anticipated new 150 PS 1.5-litre TSI EVO engine are available to order and, together, they bring high performance and further frugality to the burgeoning Golf range. Two versions of the 1.5-litre EVO engine are joining the updated Golf line-up. With outputs of 150 PS and 130 PS, both are turbocharged four-cylinder units and are available with six-speed manual or seven-speed DSG gearboxes. The 150 PS unit is available now, and the 130 PS derivative will join later in the summer. Active Cylinder Management (ACM) is an integral part of these new EVO units’ efficiency. ACM technology shuts down cylinders when the driver lifts their foot off the throttle. In the 150 PS unit two of the four cylinders are shut down while in the 130 PS BlueMotion version all four cylinders are paused when the car is coasting. Looking at the detail of the 150 PS unit, internal friction is reduced via a fully variable map-controlled oil pump and a polymer-coated crankshaft bearing. A higher injection pressure of 350 bar compares to the 200 bar of the 1.4-litre unit it replaces. Temperature-sensitive components such as the throttle valve are located downstream of the intercooler. The new engines also have an innovative thermal management system with a new map cooling module. APS-coated cylinder liners, fin cooling between the cylinders and a cross-flow cooling concept in the cylinder head are used specifically for the 150 PS TSI. This new technology means the 1.5-litre EVO engine is a particularly sprightly motor. In 150 PS guise it develops maximum torque of 250 Nm from just 1,500 rpm thus taking the Golf hatch, whether equipped with the six-speed manual or the seven-speed DSG gearbox, from rest to 62 mph in only 8.3 seconds and on to a top speed of 134 mph. Combined economy is put at 55.4 mpg for the 150 PS 1.5 TSI EVO hatchback in six-speed manual form (56.5 mpg for the DSG-equipped hatchback), with CO₂ figures of 116 g/km for the manual and 114 g/km for the DSG automatic. * Figures for the 130 PS 1.5 TSI EVO BlueMotion models will be available at a later date. This advanced engine will become available in 130 PS BlueMotion specification on the Golf SE and SE Navigation in both hatchback and Golf Estate forms. The 150 PS EVO engine is available in the Golf GT and R-Line hatchback trims, and in the Golf GT Estate, with prices starting at £23,445 (RRP OTR). When the updated Golf GTI was introduced at the start of this year, it had a power increase that brought it in line with the previous Golf GTI Performance. Now the updated Golf GTI Performance model has itself become a more potent proposition thanks to its new output of 245 PS. With an increase of 15 PS compared to the previous model, today’s GTI Performance model is now the most potent Golf GTI currently available. The power upgrade results in a torque increase of 20 Nm to 370 Nm. This is available in a broad band from 1,600 rpm to 4,300 rpm. Standstill to 62 mph is reached in just 6.2 seconds, and those figures apply to the six-speed manual as well as the newly developed seven-speed DSG automatic gearbox. The GTI’s top speed is 155 mph in manual form, and 154 mph when equipped with the DSG gearbox. Larger brake discs, with red-trimmed front calipers, and an electronic front differential add to the compelling dynamic ability of the Golf GTI Performance, which is available to order today, priced from £29,280 (RRP OTR). Yet it is an ‘everyday’ car too, with five seats and a useful 380-litre boot, or up to 1270 litres of carrying capacity with the rear seats folded. Available in three- or five-door configurations, the new GTI Performance is fitted with Volkswagen’s advanced Active Info Display as standard. This turns the instrument binnacle into a 12.3-inch high-resolution TFT screen to allow the driver to choose from an assortment of potential car and journey information. 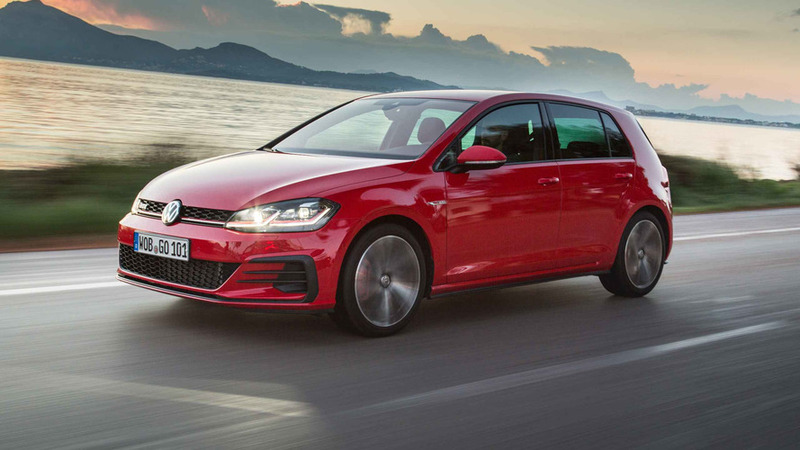 All models in the updated Golf range now feature LED daytime running lights, a colour touchscreen of at least eight inches in size and an electronic parking brake. Also standard is Front Assist, which monitors the distance to the car ahead and alerts the driver if a collision is imminent. 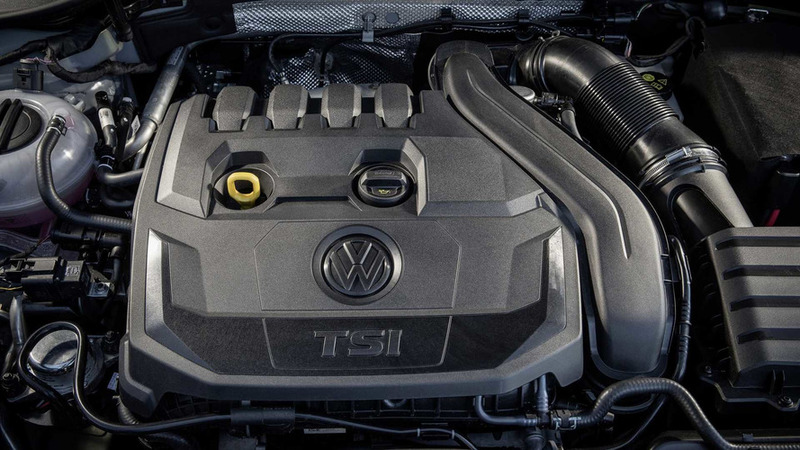 The addition of the first 1.5-litre EVO engine and the upgraded GTI Performance mean the Golf range starts with a 1.0-litre TSI-powered S model and then climbs through the SE, SE Navigation, GT and R-Line trims to the Performance Golf range of the GTD, GTI and R and onwards to the petrol-electric hybrid Golf GTE and, in the summer, the all-electric e-Golf. All these Golf models also include the latest safety systems such as Automatic Post-Collision Braking and a Driver Alert function. Standard on all Golfs from the SE trim upward is Car-Net ‘App-Connect’, which allows easy pairing of selected mobile smartphones with the Golf’s infotainment system.